Hopes are rising that two grand old ocean liners may find new homes and new lives. 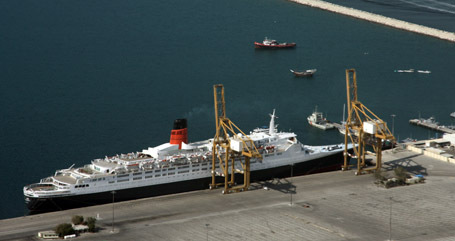 QE2, which has languished at a lonely quayside in Dubai (above) since November 2008, was originally bought from Cunard for $100 million and new owners Nakheel prepared lavish designs to convert the liner into a hotel. The economic downturn and the financial crash which hit Dubai put paid to those plans, and a rescue operation to send the ship to Cape Town ended up going nowhere. Now the port of Fremantle, in Western Australia may put in a bid to obtain QE2 in time for the ISAF Sailing World Championships to be held in December 2011. A spokesman for the current owners, who have been under pressure to sell to relieve Dubai’s debt problems, said there were “a number of options being considered for QE2,” but added that none of them involved the ship leaving Dubai. Meanwhile in Philadelphia, a group of enthusiasts is celebrating a deal to buy the SS United States, which still holds the record for the fastest transatlantic crossing. The ship, which set the record on her maiden voyage in 1952, was bought by Norwegian Cruise Line in 2003, but plans to restore her were put on the stocks when the company was re-structured. In a move which wil be worth millions in publicity on the eve of the launch of Norwegian Epic, NCL announced the had rejected an offer of $6 million to have her scrapped, and instead have agreed to sell the ship to the SS United States Conservancy for half that amount. The deal still faces hurdles before the ship can be restored and opened to the public. The preservationists have not yet raised all the funds required, and there are fears that the hull is contaminated by toxic chemicals which will have to be removed. The great ships seem to me to have personalities all their own. 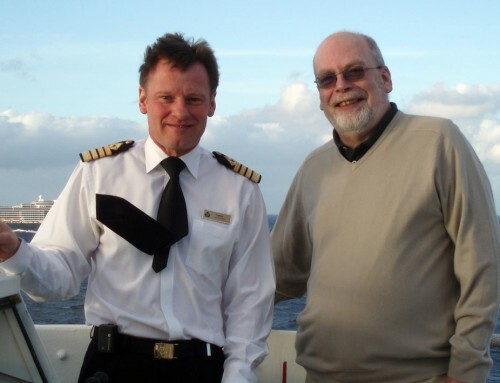 I sailed once on QE2 and cherish the memories. She is a lady through and through. The thought that any great ship, after years of distinguished service, should wind up on the scrap heap, is very sad. I hope each of these ships is saved and continues for many more years in honorable service. 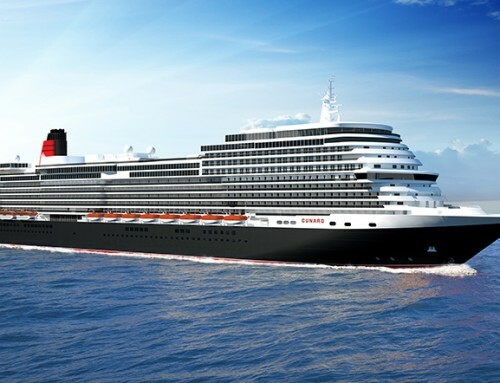 QE2 needs ports to show interest so that Dubai take the idea of moving her seriously! The QE2 forum is great. We can’t allow QE2 to be lost to the financial crisis or the breakers torch. Good on Fremantle for making an effort and wanting her. It’s more than could be said for Southampton! Don’t let QE2 become our SS United States. It’s time to save the QE2!!! Great to see interest in the old girl! QE2 in Australia would work well, she’s very popular there! Well I think that Scotland’s entrepreneurs should get together and bring her back HOME to Glasgow! For those of us who love QE2, and want her saved, emotions have to be put to one side, as do dreams. We have to think of a place where she’d work, make money, be a success. NOT where we’d LIKE her to be. I also would like her back on the Clyde but its just not going to happen. This story stems from a discussion on TheQE2Story.com’s discussion forum where we’re trying to come up with REALISTIC viable locations for QE2, with berths available, facilities, visitors etc. Its quite complicated. She needs to make quite a lot of money to break even. I just attended the SS United States Conservancy event and ship lighting ceremony last night in Philadelphia. As this article states, there are further hurdles to clear for the SS United States but there is tangible forward momentum in her favor. I hope it continues for this special ship. We’re following everything very closely on Yahoo’s The SS United States Group and will report new information as it becomes available.